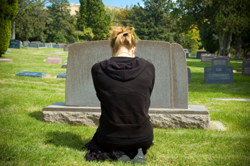 Should Children Participate in Funeral Services? Dr. David Meagher created the graduate program of Thanatology at Brooklyn College, where he’s also an emeritus professor. He joins Dr. Heidi Horsley for a special episode of the Association for Death Education and Counseling (ADEC) organization’s web series to discuss whether or not children should participate in funeral services. The short answer? It depends. There are many factors to consider, and every child is different. It can be healing or harmful depending on the scenario, as well as how it’s handled. He’s also the author of Zach and His Dog, which shares how children may handle grief. Post-death rituals are an important part of death, and Dr. Meagher says children should be included to the extent that they understand what’s about to take place. The decision should be made in conjunction with the child and other adults in the family. Older children should be asked whether or not they want to attend, go to a cemetery, or participate in any other ritual. Before asking a child if they want to attend, it should be explained to them why the ritual is happening. How will other people react? What will the child see and hear? Give the child time to think and ask questions. They should have the choice to go and/or participate or not. No matter the answer, the next step is finding someone who isn’t a primary griever but that the child knows. This should be their chaperone during the events. If the funeral ends up being too much for the child, that adult can take the child away. Spending time with them to dissect what they experienced is important. For many children, the cemetery is a great place says Dr. Meagher. Let the child lead what they want to do.